Luurnpa Catholic School is part of Catholic Education Western Australia in the Broome Diocese. Since the school began in 1984 we have been a Lasallian school associated with other Lasallian schools through out the world. 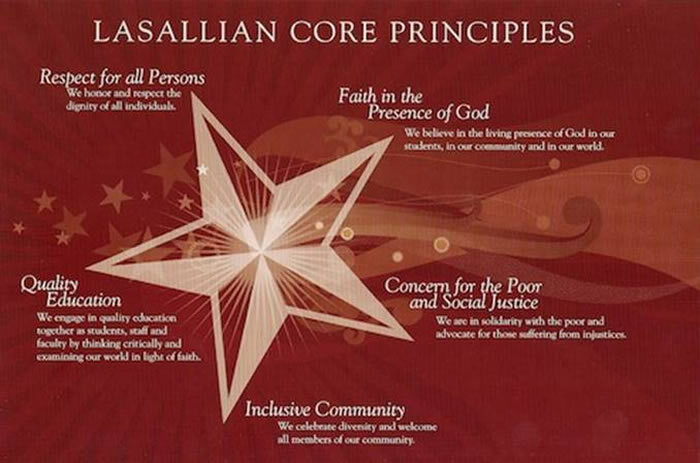 There are over 900 Lasallian schools in 84 countries with 875 000. In Balgo there is a De La Salle Brothers community and others who are Lasallians. Our Lasallian association includes the Share The Mission program where students who have just finished Year 12 in Australia, New Zealand or Papua New Guinea volunteer to work for 11 months at Luurnpa Catholic School. Other Lasallian groups visit our school during the holidays and run activities for our students. All staff receive Lasallian formation while at Luurnpa Catholic School. Some of our staff have been educated in Lasallian school. The principal attends an annual meeting of Lasallian leaders from Australia, New Zealand, Pakistan and Papua New Guinea each year as well as two regional Lasallian Principal meetings each year. We have a strong relationship with La Salle College Middle Swan Perth. Our students are given the opportunity to board at La Salle College to widen their educational opportunities. Each year Lasalle College brings a group of Year 11 students to us during the school holidays to run activities for our students. Other connections with La Sallian schools include student group visits from De La Salle College Malvern and St James East Bentleigh.